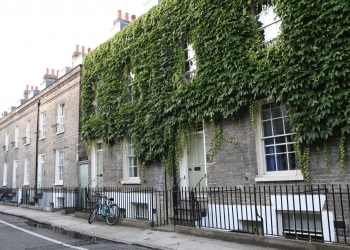 Students learn English in a traditional setting, and the distinguished Jesus Residence is situated in the centre of the beautiful city of Cambridge. The exciting programme gives young learners a real taste of student life. The distinguished Jesus Residence is situated in the centre of the beautiful city of Cambridge, a 8 minute walk from the EC Young Learners Centre. Shops, cafés, sports facilities, a multiplex cinema and the historical sites of Cambridge are all within walking distance of Jesus Residence. On their first day, students are taken to Learning Centre by their Activity Leader; this is only an 8 minute walk. All activities are within walking distance, however students may choose to purchase a bus pass/ticket to reach the venues by bus along an Activity Leader. A weekly bus pass costs up to £25 and can be purchased on the bus (price is subject to change). Students will receive a breakfast including tea/coffee, toast, jam and cereal at each boarding house in Jesus College residence. Lunch is either delivered to Jesus Residence or provided in various outlets in Cambridge city centre. These may include restaurants such as British, Italian, Chinese and American, offering a variety of cuisines. All meals are supervised by EC Activity Leaders. Dinner is delivered to Jesus Residence. It is a choice of one hot dish (including a vegetarian option), a side dish (e.g. potato wedges, or grilled vegetables etc. ), bread roll, dessert, juice or water. European students travelling with an European Health Insurance Card (EHIC) are entitled to free public healthcare. All other students are required to pay approximately £60 to see a doctor, which students must pay at the time of their visit. Students must have adequate health, accident and travel insurance while attending any of our programmes The insurance must be acquired prior to their arrival. Wifi is available in the residence and the Learning Centre. Students stay in comfortable single or twin rooms in individual houses. Each house is gender specific (males and females will not be in the same house). The Communal area includes a kitchen where the live-in EC staff member and students will prepare and have breakfast. International Leaders accompanying groups are accommodated in twin rooms shared with other International Leaders. If International Leaders request a single room, a supplement will be charged at the time of booking and the room will be reserved based on availability. Each house accommodates between 9 and 12 students, and is fully supervised by a live-in EC staff member. Students must pay for all costs incurred including transport, additional accommodation charges and cancellation fees (where applicable). The additional charges must be paid in full prior to the move. EC is happy to assist students with arrangements for any justifiable accommodation changes. Valid reasons must accompany a request for change of accommodation, and each request is considered on its own merits. Such changes are also subject to availability. Students must pay for all costs incurred including transport, additional accommodation charges and cancellation fees (where applicable). The additional charges must be paid in full prior to the move. EC is happy to assist students with arrangements for any justifiable accommodation changes. EC employs live-in staff to supervise students on residence. Bed linen is provided and changed weekly; students should bring their own towels. On the first day, all students will take a placement test, allowing academic staff to place students in the relevant group for their ability. In the afternoon, students will be given an orientation tour. Students will receive a Welcome Pack, containing general information about their programme. All students must attend Learning Centre on a daily basis unless they are genuinely indisposed (due to illness, for example). In the case of a student falling ill, an EC member of staff will accompany the student to a doctor or A&E. Any EC student on the Young Learners Programme caught consuming alcohol during their stay will be expelled from the Learning Centre and repatriated to their home country. No alcohol consumption is permitted during the programme regardless of age. Students must keep their room neat and tidy, including making their own bed every morning, and tidying up after themselves. Students who are not living in the residence are not allowed to enter in any of the rooms. Girls are not allowed to stay in the boys’ rooms and vice versa. In any of the above circumstances, the student will be informed that their stay will be terminated with immediate effect. Simultaneously, EC informs the student’s agent of the student’s behaviour and the course of action to be taken. The earliest flight available is booked at the student's expense and an EC staff member accompanies the student to the airport to ensure that the student leaves the country. Following such action, EC will terminate all relationships with the student and will be unable to take further responsibility for the student. No refunds will be given to any students who have been expelled. Students will receive their certificates on the last day of Learning Centre. Students are liable for any damages/breakages caused to Learning Centre property. Payment for damages must be effected immediately and the residence staff will not allow the students to leave the residence unless payment has been made. A damage deposit form must be completed on the first day of Learning Centre. If students do not have a credit/debit card of their own, it is important that they bring details of a relative’s/friend's credit/debit card, with a letter of authority to use this card.